Last week at this time, I was in Palm Desert with my brother, my sister-in-law Lori, my niece Hilary and her family, and my niece Jennifer. 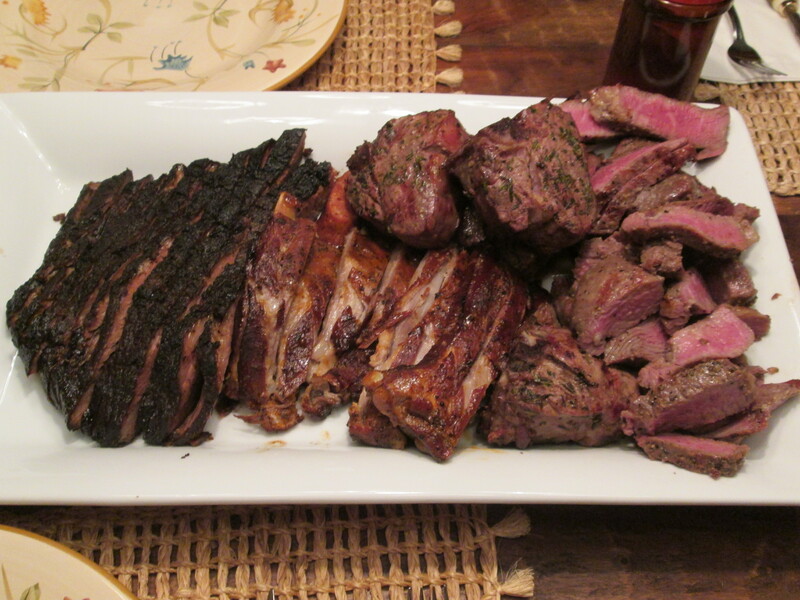 We were looking in amazement at what Dan had prepared for us: a feast featuring various cuts of meat that would make any carnivore drool. 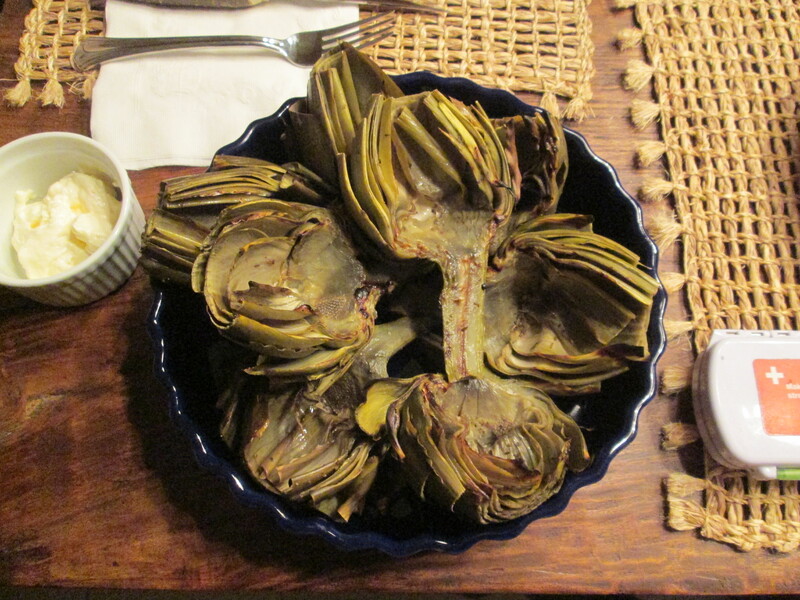 There were also several varieties of roasted vegetables, such as the artichokes pictured below. To make it a truly gourmet experience, Dan had prepared a batch of homemade Béarnaise sauce which was so good that it seemed to go with everything. Since the onset of my Type II diabetes about ten years ago, I have been more of a part-time vegetarian. But there is something about my brother’s cooking that cannot be denied. 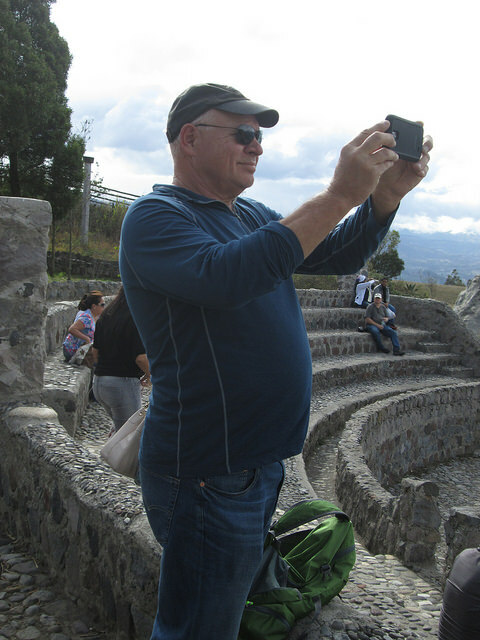 The last time I overindulged in meat was in Buenos Aires, when I went to a parrilada, ate a huge steak, and got picturesquely ill from several of orifices, missing my bus the next afternoon to Puerto Iguazu. This time, I merely sampled the cuts on display and suffered no untoward effects. It was a delicious meal. I consider myself a passable cook, but not fit the touch the hem of Dan’s garment when it comes to a comparison. If I am overweight, it is fo a good reason. My great-grandmother Lidia Toth was an excellent cook. My mother was also good, but most notable for her soups and baked goods. (I am wearing those baked goods to this day.) I take after my mother in making good soups—the one area I might be able to give Dan a run for his money. People have always told Dan he should open a restaurant. He is much too canny for that form of slavery. He has at times prepared dishes for restaurants and made friends of restaurateurs, but he was never tempted to go into that profession. Why should he? He is a superb home builder and has just finished building a log home in Idyllwild that he completed the sale of just this last week. Too bad: I would give much to live in a house that he built. 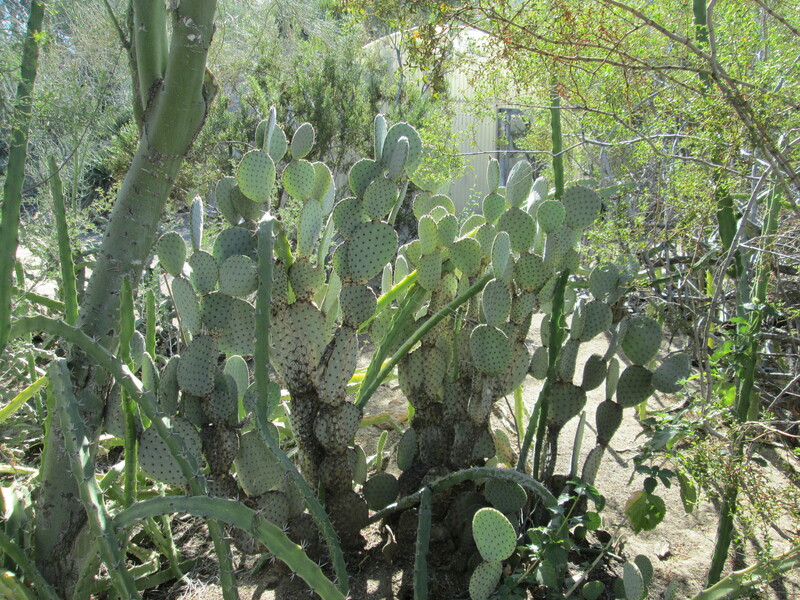 Ever since I first started spending time in the desert, back in the 1970s, I have loved cacti. Mind you, the beauty of the plant is a little harder to appreciate when the temperature goes into the high nineties and above. 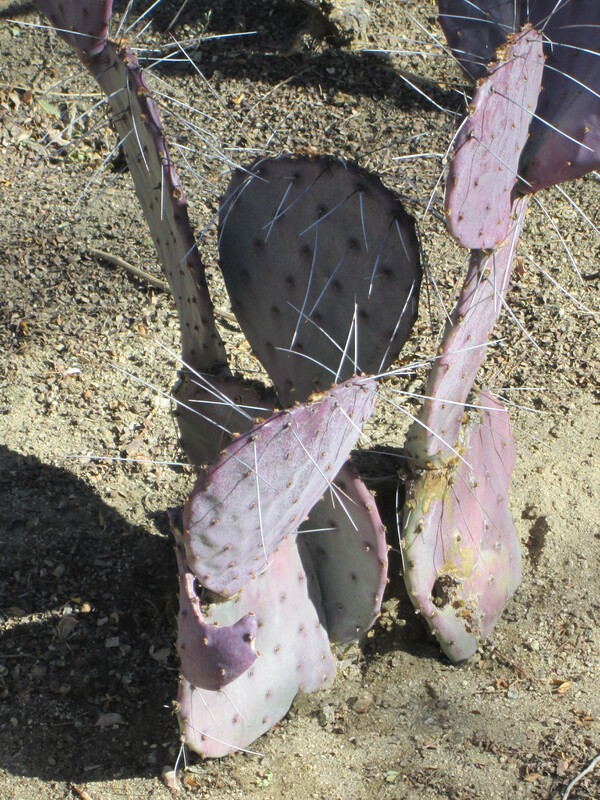 At such a time, I tend to avoid the desert: It’s just too damned hot. 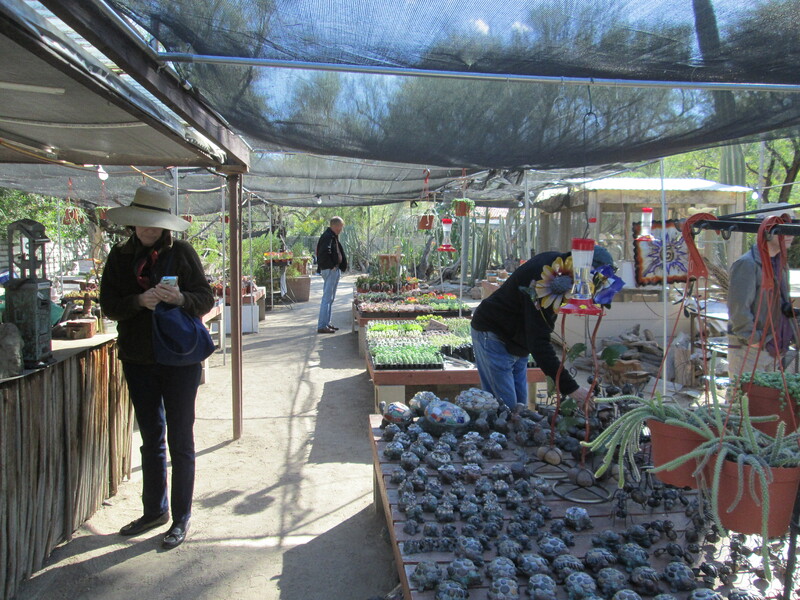 My first experiences were in Desert Hot Springs (just a few miles north of the Moortens Botanical Garden). I used to stay at one of the motels and go back and forth from the sauna to the cold pool. I even took my parents there, and they enjoyed it as much as I did. Of course, what made their enjoyment peak was a decent Hungarian restaurant in town named, I think, the Budapest. 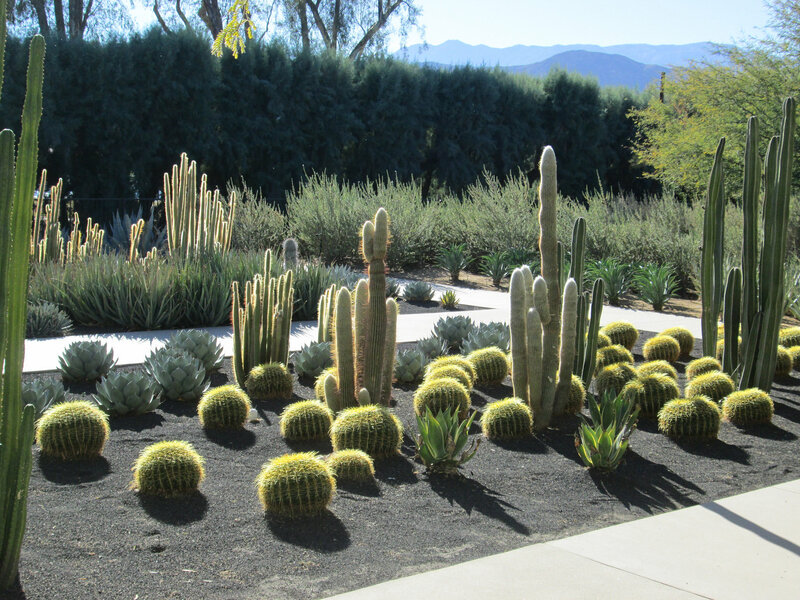 The Moorten cactus collection was so good that I can see myself visiting it every time I go to see my brother in Palm Desert. 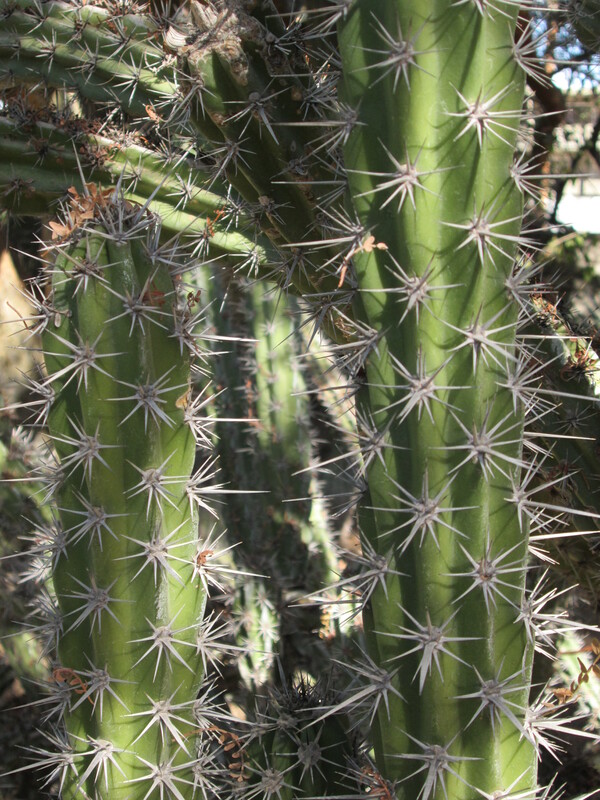 Dan has driven by the Garden at various times and even stopped to marvel at it—though from the outside only. Sometime this spring, I will also re-visit the Huntington Gardens in San Marino. 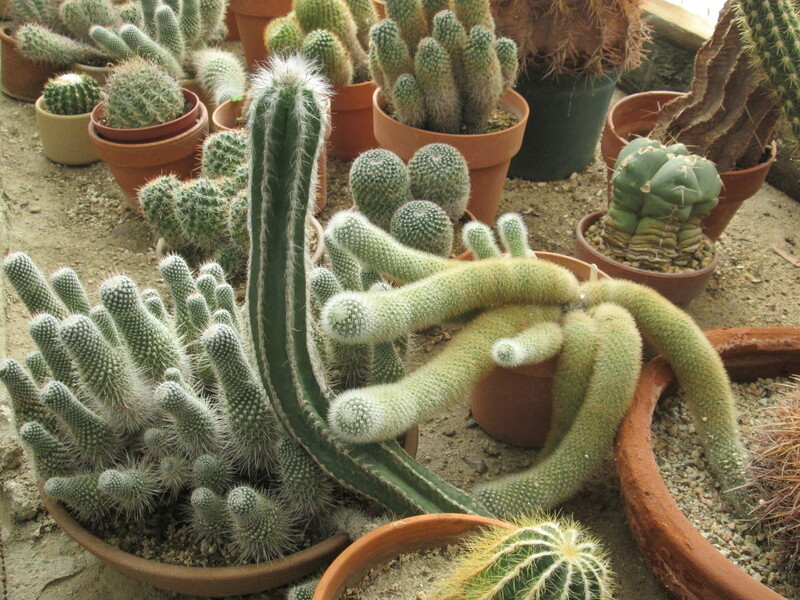 What I like about their cactus collection is that so much of it comes from Latin America, Africa, and Asia. 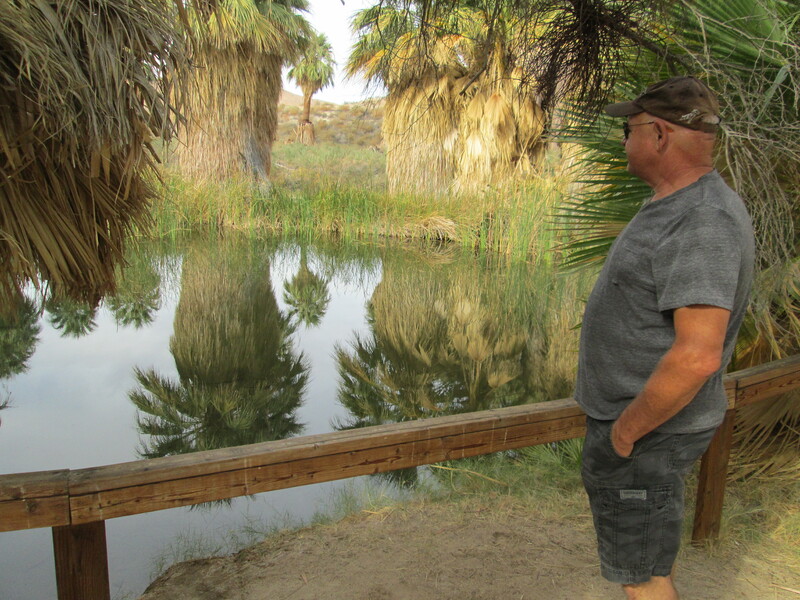 A couple of years back, I did a posting about Thousand Palms, where I took a hike with my brother Dan and Martine. On Sunday, Dan and I hiked farther, to the McCallum Grove, where there was a beautiful pond called Simone Pond. 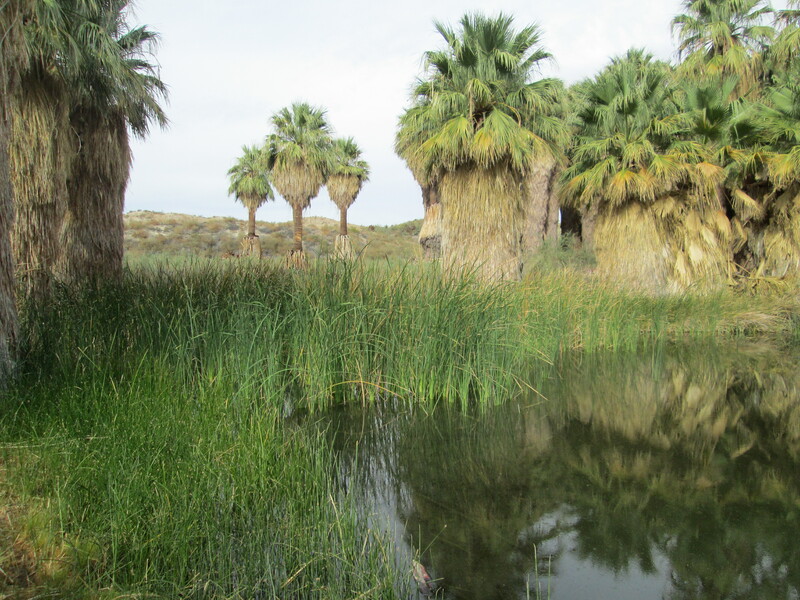 The stunning oasis is a few miles from Palm Desert, just north of Interstate-10 off Ramon Road. All the palms at this oasis are native California Fan Palms (Washingtonia filifera), unlike the Arabian palms which are now all over Southern California—except at Thousand Palms. The palm groves here are both beautiful and eerie. There is not only a noticeable temperature drop amid these palms, but also a stillness seems to reign. And, at Simone Pond, there is a large body of water in which the trees across the water are perfectly reflected. I would have to say that this is my favorite place in the whole Coachella Valley. (Second place goes to the Palm Springs Air Museum) at the airport. 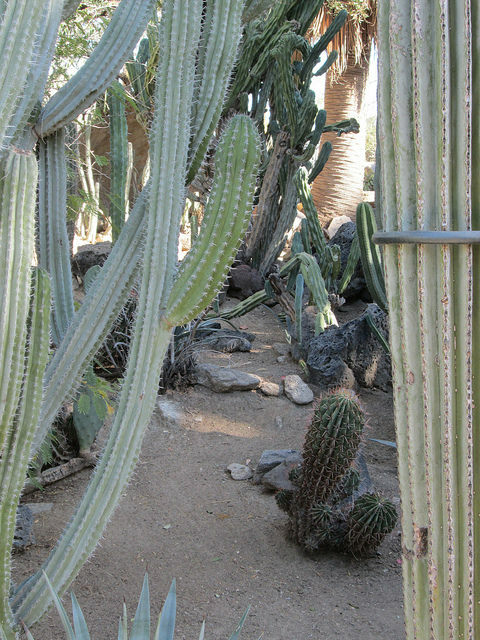 The oasis is part of the Coachella Valley Preserve and is managed by the Center for Natural Lands Management. 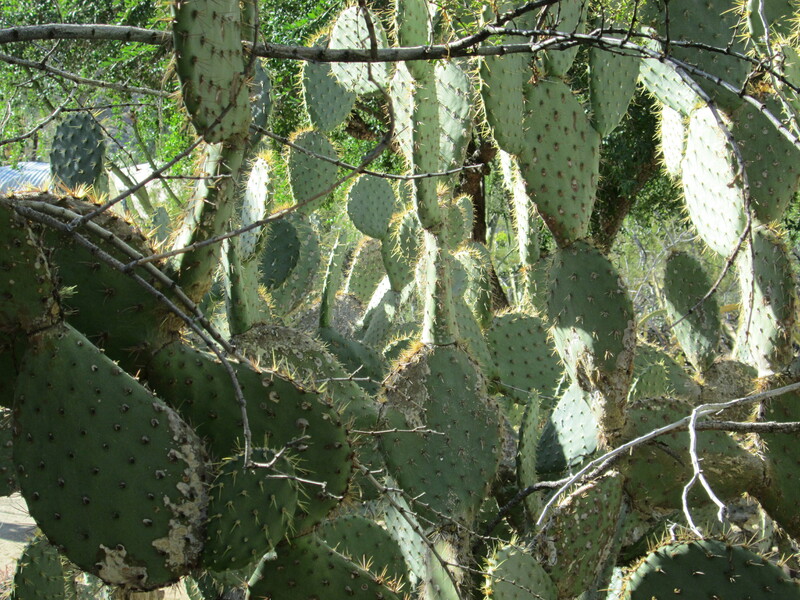 Currently, there are no fees to visit this desert gem. It is well taken care of, as the only trash I saw was a single empty water bottle. I will be taking several days off from blogging. The whole Paris family is gathering at Dan’s place in Palm Desert this weekend, and Martine and I will also be there. When we get back, I’ll have some interesting Coachella Valley material to post beginning on Monday. While we’re there, we’ll also celebrate Christmas.